Given that 70% of American adults over 20 could be considered overweight, it’s essential to take the idea of health and weight loss seriously. Since most Americans are also very busy, managing a healthy amount of exercise vs diet is a difficult balance. Being able to cook yourself healthy meals every day takes time, as does making an effort to maintain a daily workout regiment. When trying to manage your health, check out our guide to figuring out the balance between exercise and diet. Changing your diet is essential to losing weight. Without the right kind of fuel for your body, you risk not being able to have the energy to become active. If you don’t have calories that are easy to burn, your body will struggle to help you lose weight. While there are lots of low-calorie versions of what you might already be eating, you need to think about your diet more drastically. If you have a love and appreciation for tasty processed foods, you’re not alone. There’s a reason that candy companies market for both kids and adults. Everyone loves sweets. However, you should watch out for those versions of foods that are “fat-free” or sugar-free. Ask yourself whether or not those foods should have fat and sugar. An apple pie that doesn’t have fat or sugar is an apple sandwich, but if it looks that tastes like an apple pie anyway, beware. Replacements for sugar and fat might seem better in the short term, but in the long run, they’re much harder for your body to process. Your body knows what to do to break down milk that went through the short process to become butter. Your body has to do a lot more work to break down something that has 20 different ingredients and has been engineered to taste like butter. Replace sweets with fresh fruit. Substitute chocolate for fresh ground peanut butter. Find items that are low in sugar and low in ingredients. Once you have the right food, you need to become more active. If you have a sedentary life working at a desk job, you might be able to lose some fat, but if you lose weight without building muscle tone, you’ll be “skinny fat”. 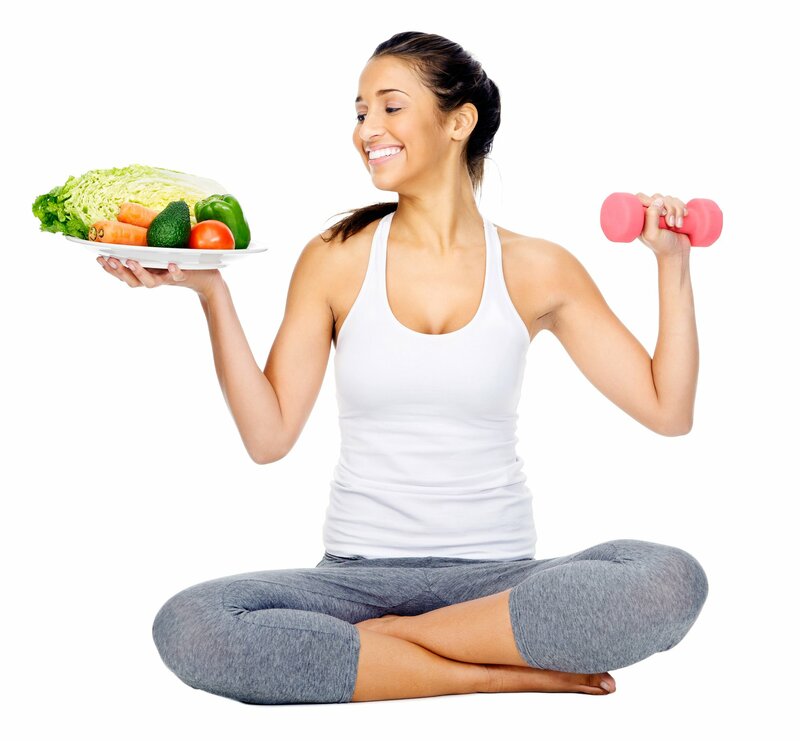 You need to pair exercise with your diet for the ideal outcome. The more you exercise, the easier it will be for your body to break down foods. By giving your metabolism a jumpstart, you’ll get the process of digestion going and start turning food into fuel. If you’ve fueled your body with natural foods, you’ll find it’s easy for your body to get this jump start. When you’re more active, you’ll see your resting heart rate lower, your cholesterol go down, and your blood pressure drop. For people at risk of being overweight, it’s important to always be moving your body. Becoming more active is also important because of the effects beyond your gut. When you work your body out, you’ll also find your mind becoming much sharper. Giving your body the ability to exhaust itself each day means that you’ll be able to sleep better. When you get a good night’s rest, you can recover from each day’s workout and also give your brain the necessary downtime to start a day refreshed. When choosing to improve your health, you need to think beyond exercise and diet. Many of us have habits that could be getting in the way of good health. One habit that many people don’t realize is unhealthy is staying up too late and not getting enough sleep. Sleep is fantastic for your metabolism and getting to bed at the same time every night helps you regulate itself. Many people will spend a lot of time trying to get in shape while still holding bad habits like smoking on a daily basis. When you smoke, you do regular damage to your lungs and your heart, making it harder to work out. It can even be dangerous to work out when you’re a heavy smoker. If you’re a drinker trying to lose weight, you might be doing damage to the cause on a daily basis. Alcohol makes it harder for your body to repair muscle, as it dehydrates your body. Also, beer has so many calories that a six pack of your favorite IPA could be what’s standing between you and the six pack you wish you had. What you really need to have is a good mix of both exercise and diet. Pitting them against one another is like saying that you can get the health you want without giving them both equal measure. It’s like deciding whether to give a plant sunlight or water. A good diet is hard to maintain, as is a healthy workout schedule. However, with some discipline and friends to help hold you accountable, you can keep both without having to compromise anything else. Getting rid of all of the bad habits in your life is the hardest thing to do but the best decision you can make. Take some time to closely scrutinize how you live on a day to day basis and find some healthy alternatives to anything unhealthy. Even just ditching your office’s elevator and opting for the stairs can make a noticeable difference in how you feel from day to day. When you’re trying to determine the factors that lead to better health, running a pros and cons list between exercise vs diet is a bad way to start. You need to think instead of exercise and diet. Having a handle on both will ensure that you maintain a good balance of habits to help you stay healthy for years to come. Before you get started on your weight loss journey, check out our guide to find out more about your body’s metabolism.